Lights, camera, catwalk! 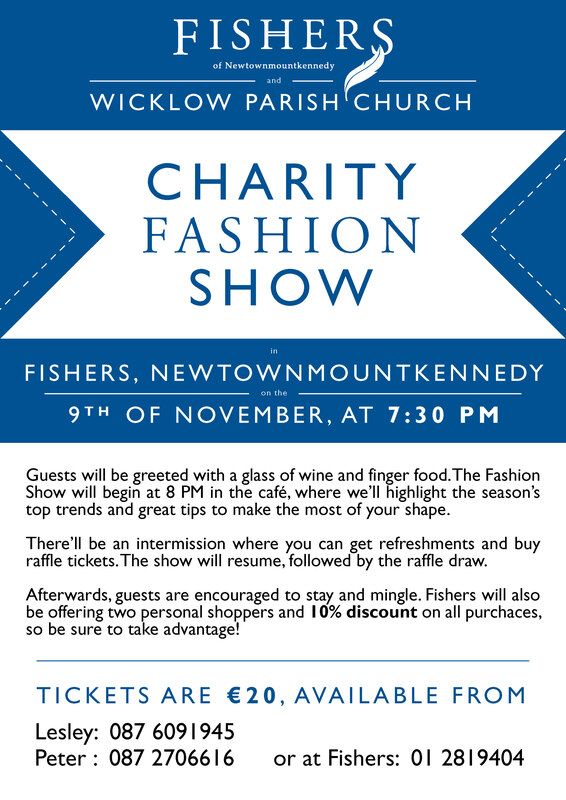 Wicklow Parish is hosting a Charity Fashion Show event in Fishers of Newtownmountkennedy on Friday 9th November, 7.30pm. The latest fashion trends and tips for 2019 will be shared, along with a glass of wine and finger food are included in the price! 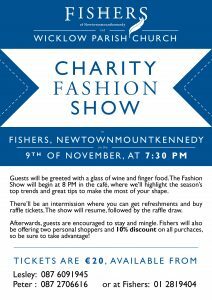 Tickets will be €20 and are available from Fishers, Peter (087)2706616 or Lesley (087)6091945. 10% discount on all purchases and the expertise of the Fishers personal shoppers will also be at hand. There will be a raffle on the night with fabulous prizes!